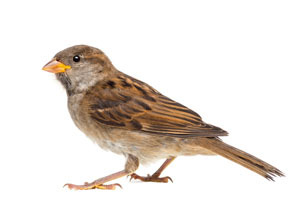 Birds can become a nuisance by causing property damage when building their nests, wrecking your garden for worms, grubs, and vegetation, and leaving behind unsightly and corrosive droppings all over your home and car. A bird problem can spiral quickly out of control. Additionally, birds are known to spread many serious diseases, including West Nile virus which can cause severe harm to you and your family. To determine if birds have become a problem at your home or business, look for signs of damage and a lot of bird droppings. Noticing nests and more activity with birds around your home are also signs that you may need bird control. Since birds are looking for places to call home, they like wooded areas with a lot of trees to build their nests. Certain types of birds will make nests on exposed supports on porches and garages. If your residence has awnings or openings into the safety of an attic, then a bird infestation may be imminent. bird removal should be handled by a professional bird removal technician because many bird species are protected, and they can spread many harmful diseases. It is highly recommended that you do not attempt to remove, trap or shoot problem birds yourself. Prevention instead of removal is a good idea for homeowners, and there are many DIY tactics homeowners can employ (like hanging CDs from trees or using a decoy) which can help keep birds at bay. Make sure any holes or other ways into your home that birds will find are sealed up so that they cannot get inside. Although it may be tempting to take the matter of bird removal into your own hands, it is not worth it. Local, professional bird removal technicians will humanely and efficiently tackle your bird problem.